​Marcel Steingiesser gave up a 14-year career at the world's biggest mining company to stake his future on what he says is an even better opportunity - Australian camel milk. That's because while demand is growing in the U.S. and Asia as camel milk's purported health benefits attract drinkers outside the traditional markets in Africa and the Middle East, there simply aren't enough camels available globally to supply the milk that retails for as much as $25 AUD a litre in parts of Asia. Australia can fill that gap because it's home to the biggest herd of wild camels in the world, said Steingiesser, who joined Good Earth Dairy as chief executive officer in 2016, without ever having tasted the slightly salty milk that camels produce. Now he drinks it regularly. 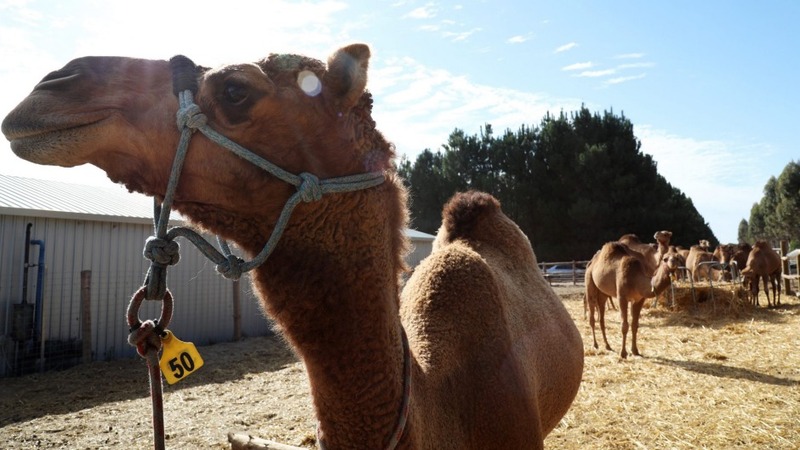 "We have the opportunity to make the best camel milk," Steingiesser said at Good Earth's pilot dairy 100 miles north of Perth as Bob, a two-year-old male camel, nosed around his pockets for a handful of pellets. "Australia has an incredible reputation in food quality safety standards and that's a great opportunity for all camel dairies in Australia." Until now, camels have been a problem in Australia. Wild camels have wreaked havoc across the Outback since they were first introduced in the 1840s to help explorers navigate the vast nation. The animals and their handlers, known as Afghan cameleers, helped develop vital transport links, one of which is memorialised as the Ghan train link between Darwin in the north and Adelaide, 3,000 kilometres to the south. The mob is growing at about 8 per cent a year, according to Pest Smart, and the animals are normally culled by helicopter in remote areas. The population could double in the decade to 2020, according to a 2010 report. Wild camels can be caught and domesticated. That's an opportunity for Good Earth, because the access to wild camels makes it easy to quickly expand, says Steingiesser. Good Earth currently has about 100 camels and it's aiming to expand to a total of 3,300 by June 2020. That amount could produce around 10,000 litres a day, or about 6 litres per milking camel. Dairy cows produce about 16 litres a day. To be sure, camel's milk remains expensive compared with its bovine equivalent. A litre for sale in Singapore's iconic Mustafa Centre, imported from the United Arab Emirates, costs $25, compared with $5.60 for two litres of cow's milk. Scale is key to getting production costs lower, said Steingiesser. He's drawing on his 14 year's of experience as a former chemical engineer at BHP Billiton in the push to get costs down to A$1 a litre. He didn't say what they were currently. "Australia is in a unique position," said Good Earth director and co-founder Stephen Geppert. "If we were to rely on breeding we would be very limited but we have access to a huge supply of camels in the desert." Geppert knows camels. He rode two across Australia's five major deserts in a year - solo. He was attacked by male bulls weighing around 1.2 tonnes and protected himself and his two female camels by rifle. 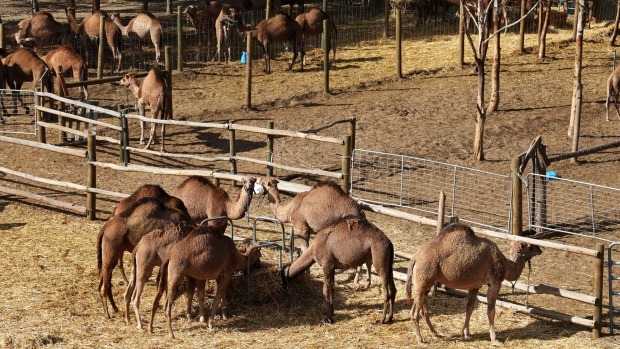 Another producer, Victoria-based The Camel Milk Co. of Australia has doubled output in the past year and now makes 250 litres a day from a herd of 250 animals, with founder Megan Williams moving to a farm four times the size. The dairy can hold up to 1,000 camels and Williams says supply will increase as demand grows. Camels are milked alongside their suckling young. Williams began exporting fresh milk to Singapore in January and sales have doubled. She's also getting interest from buyers in Malaysia. In Australia, supply can't keep up with demand and there was a four-week waiting period for new customers, according to a 2016 government report. The milk can be used to make milk powder, feta cheese and hair and skincare products. Compared with cow's milk, camel milk has five times the vitamin C and 10 times the iron, according to the Australian Camel Industry Association. It doesn't contain the whey proteins found in cow's milk that contribute to dairy allergies. Allison Aitken, a 50-year-old part-time business owner in Dalmeny, New South Wales, says since she started drinking camel milk three months ago to help with stomach problems, her symptoms have improved dramatically. She pays A$140 for 4 litres including refrigerated delivery. "I've been on 17 different diets, paleo, gluten free and oddly enough something as simple as camel milk has worked," said Aitken, who has half a glass of camel milk daily.